Fast-growing "pot marigold" blazes the border with autumn-orange cactus-shaped flowers with rolled—and edible—petals. Direct sow for cheering masses of cool-season color in mixed beds, edgings and containers. 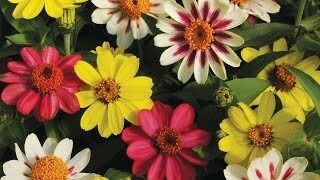 Florific 12" plants yield plentiful vase-ready cut flowers.